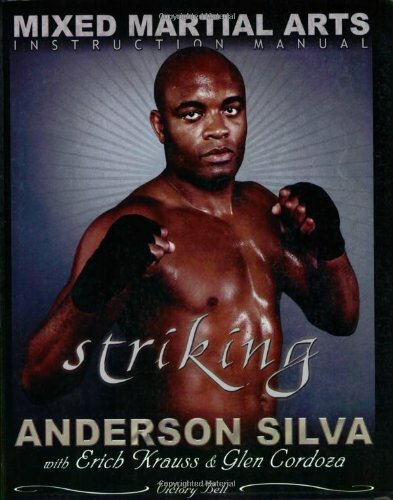 If you desire ruthless uppercuts, savage knee strikes, bone-breaking kicks, and flawless fight strategy, look no further than this groundbreaking instruction manual on the science of striking. In the "Mixed Martial Arts Instruction Manual", the man who UFC president Dana White and millions of fight fans regard as the best pound-for-pound mixed martial artist on the planet leaves no stone unturned. Anderson Silva is the UFC Middleweight Champion of the world. He won the 2008 Spike TV's Guys Choice Award for "The Most Dangerous Man in the World" and will be starring in two major motion pictures. Erich Krauss is a professional Muay Thai kickboxer who has lived and fought in Thailand. He has written for the New York Times and is the author of nineteen books. Glen Cordoza is a professional Muay Thai kickboxer and mixed martial arts fighter. He is the author of eight books on the martial arts.